P. Aker Flowerbulbs is located at Silvan in the rich red soil of Melbourne’s Dandenong Ranges and imports flower bulbs from their Dutch parent for export to Australian, Asian, US and European markets. They predominantly deal in tulips, lilies, irises, gladioli, hyacinths, daffodils and other bulbs. Their energy requirement is quite high through the need to maintain cool rooms at precise temperatures, depending on the species, to put the bulb to sleep so that flower growers can produce flowers all year round. P. Aker Flowerbulbs commenced operations in Australia in the 1980s and imports flower bulbs from their Dutch parent for resale to export markets. Their handling process requires the bulbs to be maintained at a precise temperature to induce dormancy in the bulb and the cool rooms must be maintained at a precise temperature ranging from 30+°C to -1.5°C depending on the species. This temperature control is a vital step in the process so that their customer, the flower growers, can maintain a year-round supply of flowers to the customer. 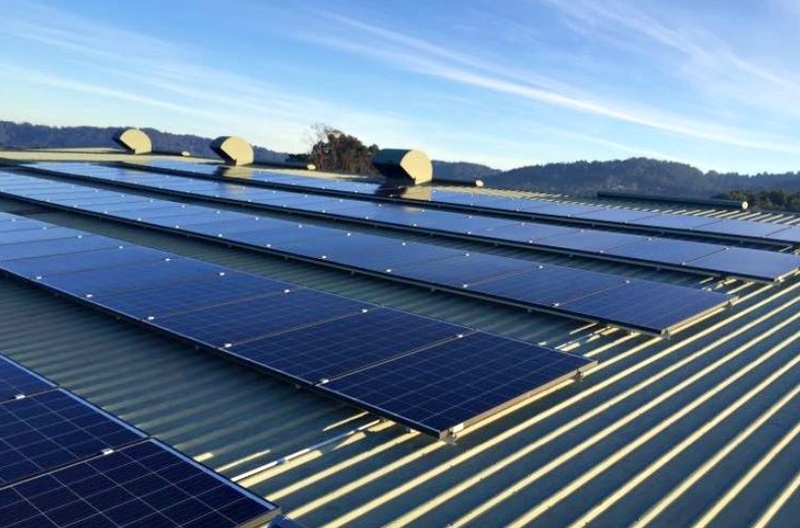 But this requires high-energy usage which has been costing $60,000 off the grid. 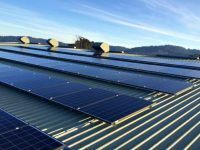 With the installation of the solar system, they expect to save the capital cost of the outlay in five years with savings of $13,497 in the first year and continuing to $176,010 or 31% in the 10th year. AEES Group employed the solar usage 30 minutes interval data which is now available from smart meters to design the system. This enabled them to form a footprint of the energy consumption coming from the grid. A 24-hour usage profile was developed to provide an accurate understanding of the year-round power requirements. For instance, they had a higher than average usage in January when they received a quantity of new bulbs from Holland. This enabled them to estimate the size of the solar system that would be required and the capital outlay so that a cost benefit analyses could bedeveloped. Trinasmart modules and Tigo DC Optimisers were selected on the basis of panel-level maximum power point tracking, monitoring, and enhanced safety. 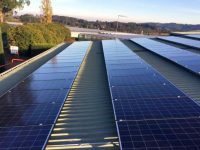 Finally, AEES Group had to study the movement of the sunlight on the buildings to ensure that there was sufficient energy available throughout the year, as well as the buildings to ensure they were sufficiently robust to take the weight of the panels. Battery Storage for Flowerbulbs is being designed as a follow on to the success of the project. 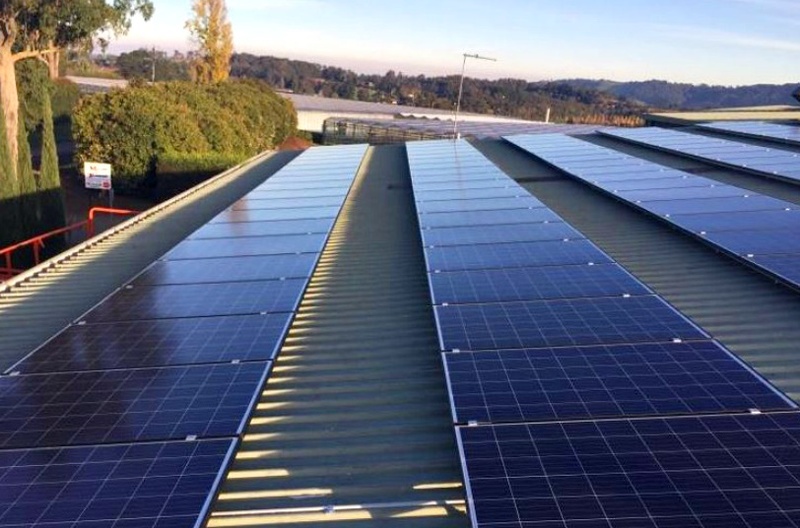 The installation was made up of 231 Trinasmart panels powered by Tigo Optimisers using their TS4-L junction box which allows optimisation, monitoring, safety shutdown and longer strings. The remote time monitoring allows timely maintenance so that problems can be quickly detected and corrected. The system has already detected a situation where a string of panels was underperforming and the fault was found to be a $6.50 fuse that was quickly fixed. 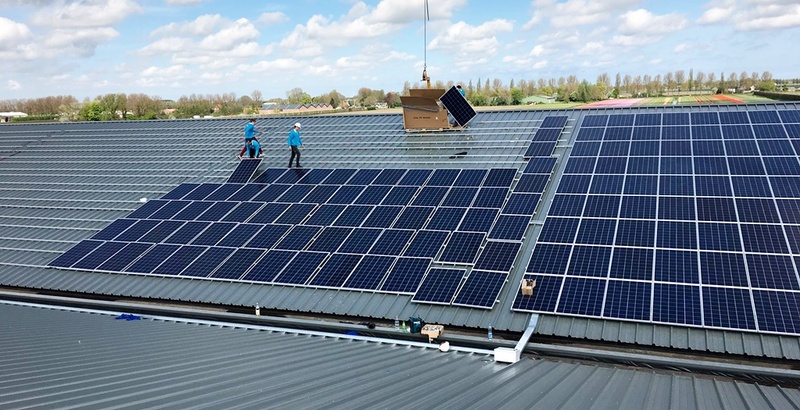 The monitoring of the solar system is also transmitted to the P. Aker Flowerbulbs head office in Holland who have been so impressed with the performance that they are moving to install their own system. The annual projected energy output is estimated at 70.9 MWh per year and the CO2 emissions savings are put at 60.7 tonnes per annum.